With 2016 coming to an end we made a showcase of our favorite social media campaigns. We love brands to come up with something unexpected, new and catchy. 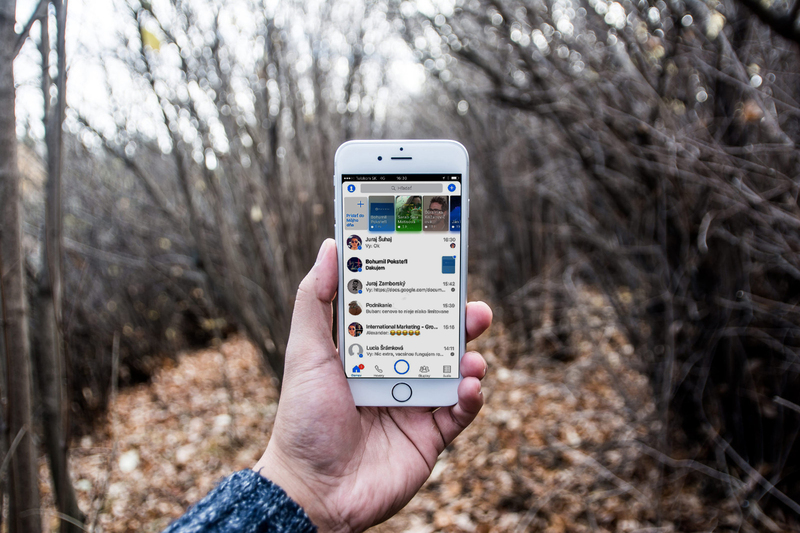 Moreover, marketers dream is to deliver the message of a product in an entertaining and engaging way which will be recognized, understood and shared. When passion meets purpose everyone is happy. Let’s see what caught our attention this year. Disney decided to help its own non-profit organization Make a Wish Foundation with fundraising. The amount of money raised is supposed to reflect the number of people and fans involved in the campaign. 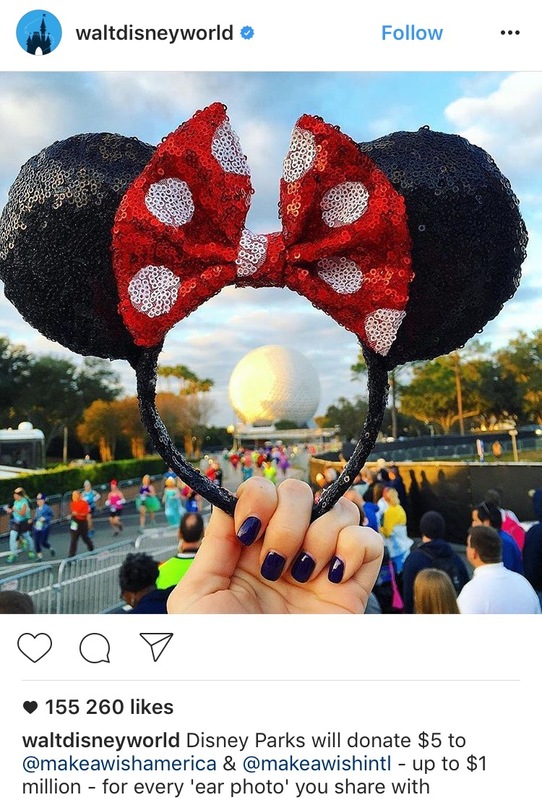 Disney encouraged people to post funny and creative photos of themselves with Mickey Mouse ears and hashtag #ShareYourEars on Facebook, Instagram and Twitter. They promised to donate $5 for each post up to the cap of $1 million in total. This idea met success and with more than 200k posted images on Instagram alone Disney decided to double their original pledge, donating $2 million. Thumbs up for this beautiful charitable campaign. Lowe’s, a U.S. based chain of retail home improvement and appliance stores, came up with their do-it-yourself ideas transferred into short animated stop-motion videos. These tips and trick videos with the length of 6 seconds have met so much love on social media. The advantage of such short length is that videos are played on repeat. Unique and simple message received within 6 seconds. Brilliant brand image campaign! You probably didn’t miss this one. Scrolling your news feed is sometimes interrupted by a short video that always makes you hungry. These mouthwatering recipes are quick, easy to make and really enjoyable to watch. As mentioned, Facebook is their dominant platform and due to the success of Tasty, they expanded with formats like Nifty and Goodful. This smart Buzzfeed topic portfolio expansion has helped to reach them new audiences. Triad Advertising came with an original way how to promote this tea-based herbal liqueur originated in the High Tatra Mountains. Three different aspects merged in order to deliver such a beautiful result. 1. Label with heart touching background and luxurious look. 2. Exceptional bartender skills of Marian Beke, one of the world’s best bartenders. 3. An orignal mix of Fallgrapp music. With the combination of great camera and traditional Tatratea design, a set of 7 videos was born. Each video shows how to mix an unique luxury drink based on Tatratea liqueur. In their own words – It’s a heart thing. Another campaign encouraging people to get involved. Superbowl brings marketers a big opportunity to show off their creativity. 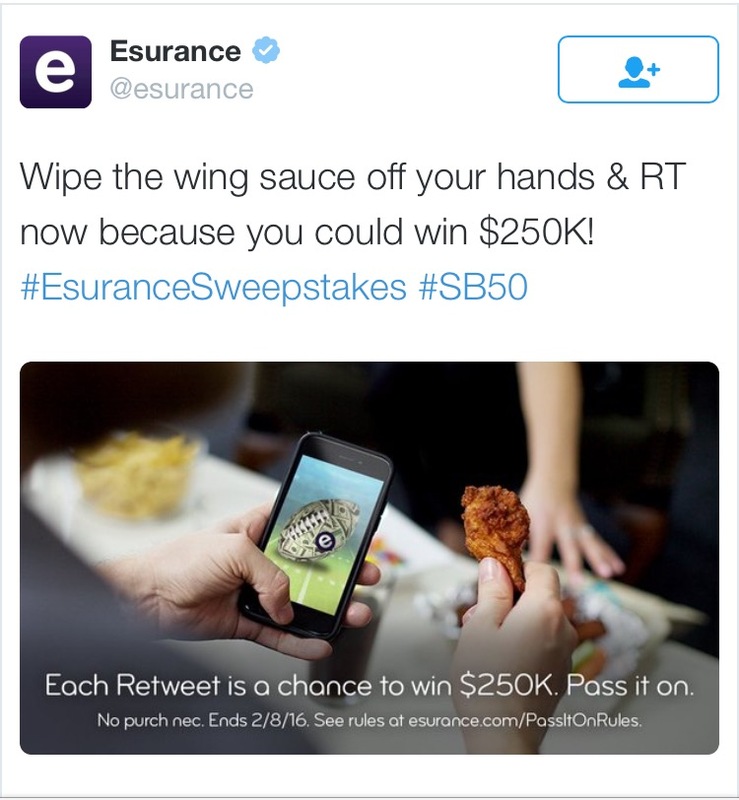 Esurance bet money, literally, on a Twitter-based contest. Superbowl audience had to retweet their image with a ball – reference of passing a ball. Motivation was big, the insurance provider was giving away $1 million to a few lucky ones. It was a hell of a motivation with incredible 2,5 million hashtag mentions and 1,5 billion impressions. This is second cooking related campaign in our list. The Knorr campaign is based on a case study experiment and involved video, Twitter cards, trend promotion, and interactive content online quizzes to boost brand awareness. 14 singles were matched based on their taste similarities as the online quiz discovered their preferences. The video shows “flavormates” that never met before enjoying meals based on their taste. Does it remind you of something? Yes, the concept is similar to first kiss campaign. However, we cannot resist the well-known fact that love goes through the stomach. Instead of promoting a product, this time they decided to sell emotions and it worked out perfectly. During the Golden Globes L’Oréal launched a campaign related to their long-running slogan: “Because You’re Worth It”. 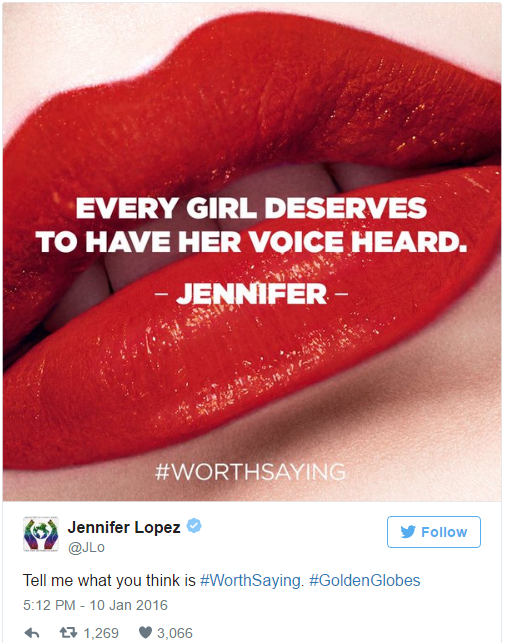 Female celebrities like Freida Pinto, Eva Longoria and Jennifer Lopez helped to promote the brand by sharing images of their motivational quotes with hashtag #WorthSaying. The company showed results of their research which says that 75% women can accomplish their goals easier while fueled with motivational language. These were our favorites this year and we are already looking forward to the next one. Creativity is beautiful. Which social media campaign did you like most this year? Share your thoughts with us in comments.